I have to admit that I had never heard about Gilt, but it is a US based luxury shopping platform. As of yesterday, they’re also selling a number of very cool watches. Friend of the show Ben Clymer of Hodinkee is the curator of the whole lot. A number of interesting pieces are being put up for sale. 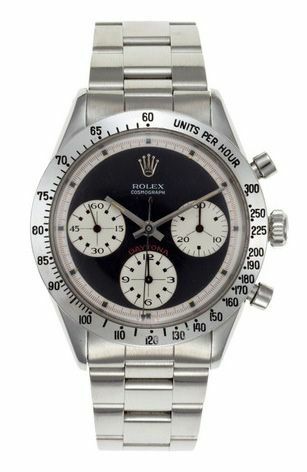 One of them is this cool ‘Paul Newman’ Daytona, I guess it is a ref.6239 as the lot doesn’t tell.